Combine ingredients in a shaker without ice and shake until preserves dissolve. Add ice and shake again until ice cold. 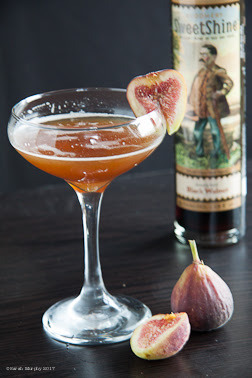 Garnish with fresh fig, optional. This is just as delicious with vodka or rum if you're not in the mood for bourbon. But, really, you should try the bourbon.